With the latest release of the Power BI designer that now supports measure creation we also snuck in another feature that is very useful in complicated measure scenario’s and for performance optimizations. DAX now supports variables. Lets take a look at what that means. 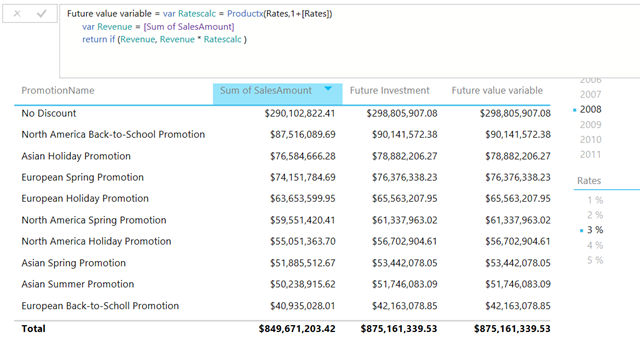 Here is an example that I use in my Power BI designer sessions where I calculated the future value of a principle amount, this is something that is very commonly used in the stock market. Excel has a function for this called FVSCHEDULE. Using our new PRODUCTX function it is pretty straightforward to implement yourself. This calculation will return the Product of 1 + [Rates] for each row in the Rate table. This calculation will multiply the Sum of SalesAmount by the Rates Calc. Ok lets recap, why do you want to use variables? They can improve performance as measure values get stored into a variable and can be reused in other places without having to calculate the value several times. First of all it is more readable (of course this is a matter of opinion :)) but second of all the [Sum of SalesAmount] measure is calculated 4 times if you also count the previous year measure. In the variable case [Sum of SalesAmount] is only executed twice. Now in this example it doesn’t really make a big difference but if your measure get more and more complicated this can really make a difference. Very interesting…do you know if this will be included in SSAS Tabular 2016? Kasper, I am trying to get a DISTINCTCOUNT across a column in two tables. Similar to how you do COUNTROWS(tableunion), but when I attempt to use the DISTINCTCOUNT(tableunion[column]) I get this error “Table variable xxxxx cannot be used in current context because a base table is expected”. Anyway around this error? Also: Would this functionality be included in Office 2016? good question, let me look into it. 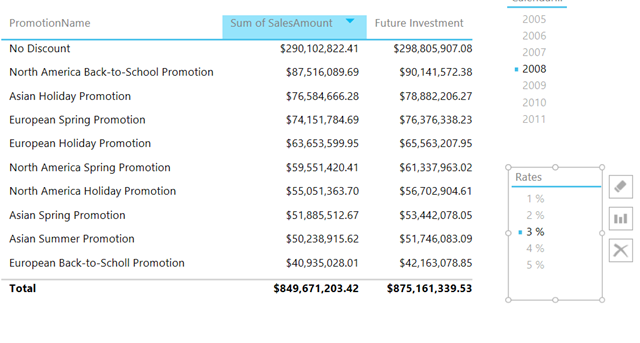 Where the Sum of SalesAmount comes from? 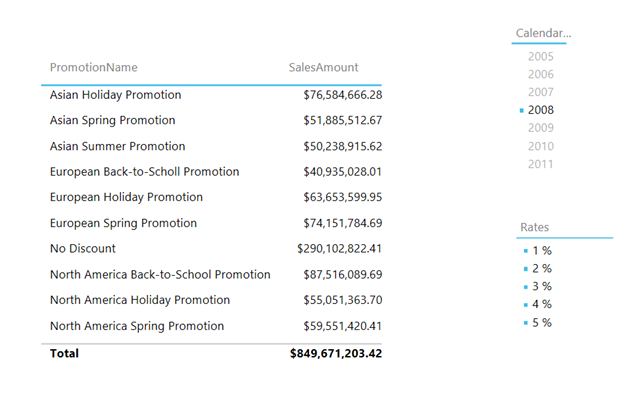 That is another simple measure that summarized the salesamount column that is already defined in the model.